Bordered by the Croatan National Forest and the Trent River, Brices Creek derives its name from being located on Brices Creek (hence the name). This area was made famous by the works of Nicholas Sparks. This neighborhood is convenient to award winning schools and boating access points. Residents enjoy easy access to the Croatan National Forest and have an easy commute to MCAS Cherry Point and Camp Lejeune. Why move to Brices Creek in New Bern, NC? 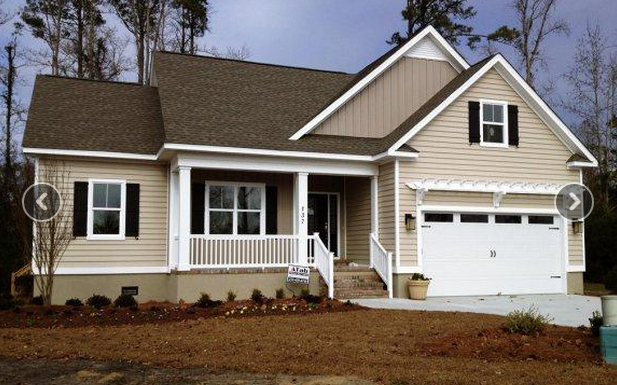 Brices Creek offers one thing that can be hard to come by in New Bern: New construction homes. If you want to be the first homeowner of the property — to customize as you want — then start your home search in Brices Creek. It’s location rests along the Croatan National Forest and the Trent River, offering stunning views of the wilderness. Coupled with customized real estate, it makes the perfect mix for comfort living. What homes are for sale in Brices Creek? What are some good schools around Brices Creek? What are fun things to do in Brices Creek? Because Brices Creek rests along Trent River and smaller creeks, it’s easy for residents to take out the boat and spend a warm day on the water. People love fishing and crabbing along the creeks, but if you’re looking to stay dry, then there are plenty of award-winning golf courses to practice your swing at. Any range of (water or land) activity can be found in the New Bern area. Once you finish spending time in the outdoors, you can easily head into town and go shopping as well. What are some Brices Creek hot spots? Is Brices Creek for me? Brices Creek is definitely for you if you are looking for a new home. Because homes are still being built, you have the opportunity to customize your new house the way you like — and that’s something not many homeowners get to do. For all the new construction and local amenities, Brices Creek is a great place (but still best kept secret) to call home in the New Bern area. If you’d like more information on the area, feel free to contact us with your questions.